In today's fast-paced marketplace, organizations need the best method to electronically exchange information and manage data. 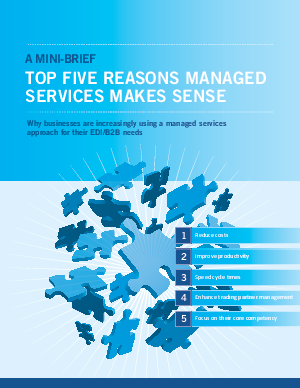 Learn why businesses are increasingly using a managed services approach for their EDI/B2B needs. You may just consider it for your business.